Pay for design when you need it. Not when you don’t. We carry no overhead for design services, keeping your unit costs down for production. But if you do need design, our freelance designers provide a unique offering—creative abilities that solve demanding technical challenges. Their expertise and our understanding of manufacturing ensures your product can be easily built, lowering the cost of production for a better end product. Electrical assemblies and systems that deliver both quality and manufacturability. Yes, you actually can have it all. Creating or improving metal and plastic enclosures, systems, and assemblies—whatever you need. 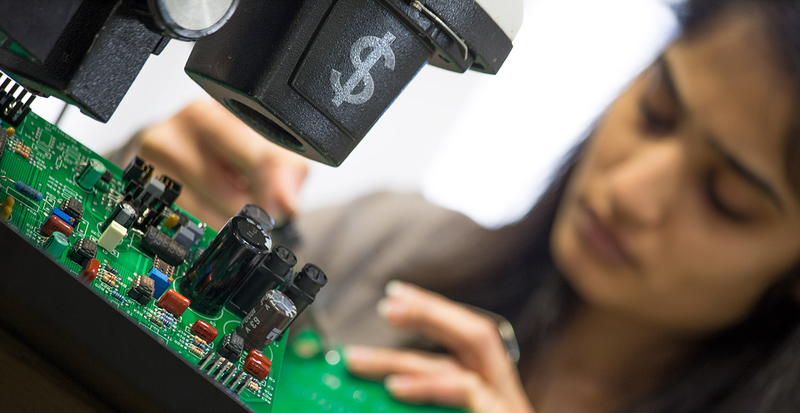 Devising printed circuit boards (PCBs) for quick lead-time, dependability, and of course, profitability. Integrating electrical components, electronic circuits, and mechanical systems.